20 items found searching fields on 2 pages. Food Label Printing Made Easy: Save time and money by printing your own labels with this FoodSoftware food label printing starter kit. 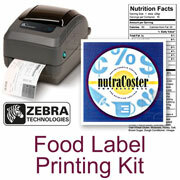 All the components of a typical food label printing setup are combined here for your research and shopping convenience. If you do your research carefully, this is the selection of items you are most lik... more. Food Rotation Made Easy: Prep-Pal� is a food rotation labeling system that is easy to use, inexpensive and far superior to labeling food by hand. The system is a special combination of software, label printer and labels that are specifically designed for restaurants and other commercial food manufacturers who must routinel... more. 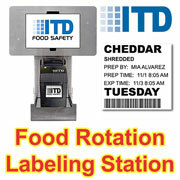 Food Rotation Made Easy: Prep-Pal Station� is a standalone food rotation labeling system that is easy to use, convenient and far superior to labeling food by hand. The system is a self-contained combination of tablet PC, software, label printer, labels and platform that are specifically designed for restaurants and other c... more. 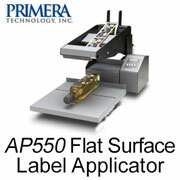 Primera's AP550 semi-automatic flat-surface label applicator makes it fast and easy to precisely apply product and ID labels onto a wide range of flat surfaces such as rectangular or tapered bottles, boxes, packages, bags, pouches, lids, tins and much more. Labels are applied straight without wrinkles or folds in exactly the location desi... more. Labelmate label dispensers help you quickly and easily peel and present labels from rolls. This important time- and labor-saving equipment greatly improves productivity over manually pealing labels from rolls. This is also necessary for use with non-round or irregular packaging that cannot be processed with label applicators (which only... more. Label rewinders re-roll labels as they are printed back into a roll on a core so the printed labels can be used in a label applicator, label splitter or other device. 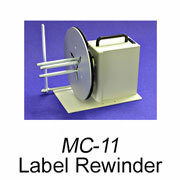 Rewinders are essential for printing long runs of labels. The CAT-2P is the only rewinder certified by Primera for use with the LX800/900 Series Color Label Printers. Lab... more. Label rewinders re-roll labels as they are printed back into a roll on a core so the printed labels can be used in a label applicator, label splitter or other device. Rewinders are essential for printing long runs of labels. The Labelmate Mini-Cat MC-11 is an economical rewinder that features an adjustable paper guide for label roll cor... more. The LX2000 is Primera's newest and fastest pigment inkjet label printer and represents an entirely new label printer class that features low enough cost-per-label printing such that color labels becomes cost-effective where they never were before. 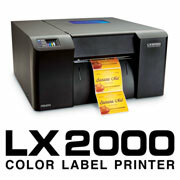 The LX2000 is perfect for labeling food products, especially mid- and high-end, limited pro... more. The Primera LX400 full color label printer is for printing quick, short and economical runs of labels up to four inches wide. Use this printer when you desire vibrant color and extremely high image quality to distinguish your products. The LX400 is perfect for labeling food products, especially high-end, limited production items or new ... more. The Primera LX900 full color label printer is for printing quick, short and economical runs of labels up to eight inches wide. Use this printer when you desire vibrant color and extremely high image quality to distinguish your products. The LX900 is perfect for labeling food products, especially high-end, limited production items or new... more. 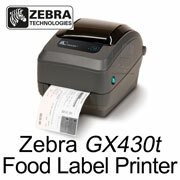 The Zebra GX430 desktop label printer is for printing quick and economical runs of labels up to four inches wide at 300dpi. The 300dpi capability is for printing the small fonts required for small product labels. The GX430 is a best-in-class printer that is perfect for short and medium runs of food product labels in black-and-white with ... more. The Zebra TLP 2844 label printer is for printing quick, short and economical runs of labels up to four inches wide. 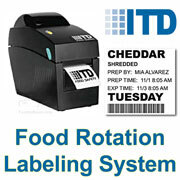 The TLP 2844 is perfect for labeling food products with basic, black-and-white labels. 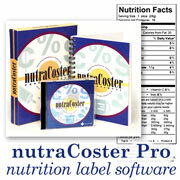 Labels can include logos, basic graphics, text, bar codes and nutrition panels. Labels stand up to heat, moisture and cold. Works w... more. Labelmate Label Slitters are practical devices for making custom size labels that help solve the problem of the limited variety of standard label sizes available for digital label printers. Rolls of labels may be slit along their length to make labels of almost any width. Label rolls are fed through a row of blades set at various... more. SmallPICS is powerful software built for wholesale bakeries' order entry, standing order, route accounting, production planning, invoicing and accounts receivable requirements. It is used by wholesale bread / pastry / cake bakeries which conduct both "guaranteed sales" (to supermarkets) and "non-guaranteed" sales (to restau... more. 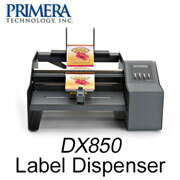 Primera�s DX850 Label Dispenser helps you quickly and easily peel and present labels from rolls. This important time- and labor-saving equipment greatly improves productivity over manually pealing labels from rolls. This is also necessary for use with non-round or irregular packaging that cannot be processed with label applicators (w... more.